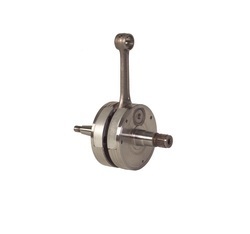 Our range of products include crank rods. In various sizes and thicknesses, these Crank Rods are offered by us to customers. These Crank Rods are manufactured by using raw material that we procured form the authenticated vendors of the market. These Crank Rods are also tested for their quality assurance under the supervision of our quality expert team of professionals. Looking for Crank Rods ?